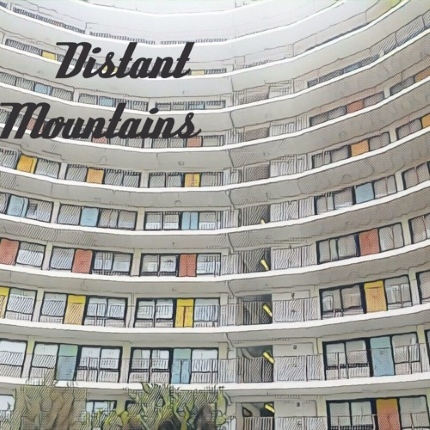 Listen: Distant Mountains - "Liquid Doubt"
Opening with beautiful trickling guitars and a spacious gentle rhythm section, “Liquid Doubt” transitions to an ’80s-tinged melodic anthem when the vocals kick in, reminiscent of Echo & the Bunnymen. There’s an enjoyably contrast between these trickling beginnings and the wholly melodic vocal sections, serving as a great example of the quality songwriting within this project, who are debuting with “Liquid Doubt”, their first release. The San Francisco-based duo should be on the rise quickly if this track is any indication; Deerhunter and Echo vibes work beautifully in addition to some fantastic original ideas. I like the twinkling guitars…not hearing the Bunnymen references necessarily…but agreed there are other 80s reference points here but it works.